You’ve created killer content. Designed a perfect profile photo. 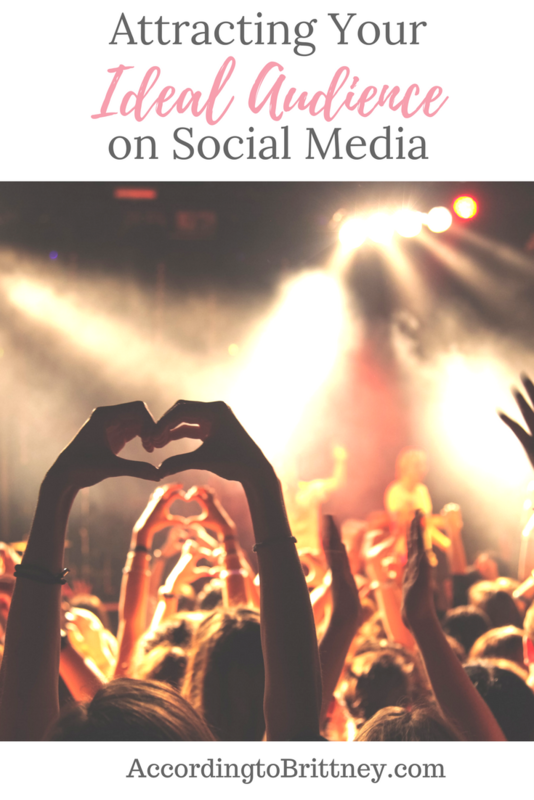 You’re social media sites are ready for your audience! But, where are they? One thing most business owners struggle with is attracting people on social media. If you’re creating content for no one, you may feel discouraged to create any content at all. You may be discouraged to be an entrepreneur, if you think no one is listening. No matter how discouraged you feel, DON’T STOP creating content! That is the best thing you can do to gain a audience by getting yourself out there. You just need to add some strategy to your social media and content creation. And, that is where I come in! One of my favorite ways to attract an audience on Facebook is joining Facebook groups of people who are within my target audience which is female millennial entrepreneurs. For example, I’ve been joining entrepreneur, blogger, and millennial groups on Facebook. These groups have not only given me great advice and motivation to make my business successful, but also a chance to share my content. Many of these groups have promo days where you can post a link to your latest post, e-course, product, etc. The biggest key to being apart of these groups is to add value instead of only promotion. Give feedback, share tips, and genuinely connect with people. When you come off as spammy, no one will be interested in getting to know you, let alone working with you. My group, Life of an Ambitious Millennial, is launching on September 13th! Sign up to join the launch party where we’ll have giveaways, special offers, and an expert’s summit all week long! Let’s party! The best way to get a larger audience on Instagram is to make use of hashtags. Hashtags are how people search and discover content on Instagram. Without hashtags, the only ones seeing your beautiful graphic is your own followers. Each post should have the allowed 30 hashtags that relate to the post or your business (at the minimum 20). I post hashtags like #millennials, #entrepreneurlife and #adulting which is my audience and my message. You can also use hashtags to find people and posts related to you! If you’re business is all about baked goods, search the hashtag #dessert or #pastry. You’ll find all kinds of people who are sharing things about that hashtag. Comment on their posts, leave a like, or even follow! This may lead them back to your profile! The best thing I’ve ever done on Pinterest to get my followers up is participate in group boards. A group board is basically a board that multiple people can contribute to. You can ask to be apart of other group boards that are consistent with your niche. I find it helpful to follow each contributor in the group board once I’m accepted. Creating a group board is also great! It’s the same as creating any board except you add other Pinterest members to it. Then, you share your posts together. I’ve noticed my followers drastically increase once I started my own board. Plus, they continue to grow weekly! Finding your audience can be one of the biggest challenges you face as an entrepreneur. Luckily, social media continues to make engagement and connection much simpler. Need more audience attraction help? Head to my work with me page to find out how I can help you! What are your favorite ways to build an audience? Comment below!